I am Hannah and I am 23 years old. Originally I am from Queensland and moved down to Melbourne to live with my boyfriend. I was always scared of dogs until I volunteered at the RSPCA. I totally felt in love with all animals especially with dogs. Dogs are the most beautiful creature and so loving and giving. The purest animal on earth. 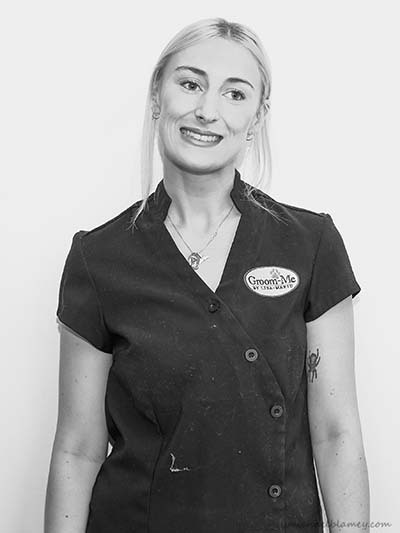 Unfortunately as I live in a small apartment I cant have a dog myself but with working in the dog grooming industry is just a perfect match. My name is Hannah and I am 23 years old. Originally I am from Queensland and moved down to Melbourne to live with my boyfriend. I completely fell in love with all animals and particularly with dogs. Dogs are the most beautiful creatures and so loving and giving. 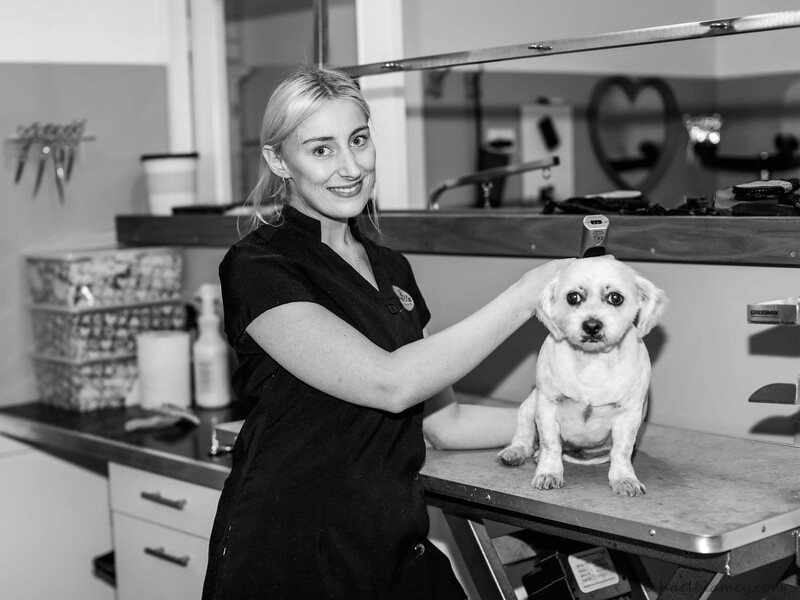 Unfortunately at this stage of my life I am unable to have a dog myself but being able to work with dogs in the grooming industry is a dream come true. With over a years grooming experience I am on my way to mastering the challenges that grooming presents and cant wait to see what my carrier has in store for me. In my free time I love minding (please contact Groom-me for further information) and I love a little bit of cardio boxing on my Saturday morning.